An MSF maternity hospital in Jordan has witnessed the births of 10,000 babies – most of them Syrian – in just four years. These babies are part of a generation of Syrian children who have never seen their homeland and may face challenges of identity and integration in the future. At the mother and child centre in the northern governorate of Irbid, Jordan, Ayesha looks tenderly at her new-born twins, a boy and a girl. For years, in her native Syria, she and her husband had longed for a baby but doctors told them Ayesha had no hope of conceiving. When the war broke out, the couple left the country and headed to Amman, the Jordanian capital. They were still desperate for a child. Four years passed before a doctor suggested in vitro fertilisation (IVF). It was around that time that she and her husband learned of the existence of a maternity hospital run by MSF in Irbid city, 15 kilometres from the Syrian border. The hospital has seen the births of more than 10,000 babies, most of them Syrian, since it opened four years ago. Irbid governorate is home to 140,000 Syrians, many of whom, like Ayesha and her husband, left their country at the start of the civil war. Jordan hosts 660,550 registered refugees, but according to the authorities, more than a million refugees live in the country. Approximately 80,000 live in Zaatari and 53,700 in Azrak – Jordan’s biggest camps – while the others struggle to settle in urban communities or have moved to rural areas. With its free-of-charge facility, MSF has become the main reproductive healthcare provider in north Jordan. “This has placed us in a unique position to witness the hopes brought by new lives, but we also realise it’s likely that these babies may never see their country of origin,” says Erwan Grillon, MSF country manager in Jordan. Ayesha’s twins, and the thousands of other Syrian babies born in Jordan, could well be faced with a difficult quest for an identity in a country where, according to the authorities, Syrian refugees represent a heavy burden. Stress on the local economy, unemployment, an overloaded health system and the threat of terrorism are among the issues raised by Jordanians who are weary of the situation. “When they come to the maternity hospital, patients speak of their challenges with integration into Jordanian society,” says Grillon. To date, the Jordanian government has issued more than 50,000 work permits to Syrian refugees and the harrowing conditions in Syria are likely to force more people across the border. Our facility welcomes dozens of patients every day who come for antenatal and postnatal care or to give birth. Many people seek mental health support. These families are unable to pay for healthcare at private clinics, where each visit costs an average of between 25 and 40 Jordanian dinars (26 to 42 British Pounds). Most are unemployed, in debt and rely on limited humanitarian aid. “Each day is a new adventure," says MSF gynaecologist Rasha. "We in MSF don’t treat just the idea of 'patients'. They are people, people who have undergone and overcome struggles." Basma*, a 20-year-old Syrian, fell pregnant in Zaatari camp. Reluctant to stay there, she and her husband moved to the outskirts of Irbid. While they struggled to find jobs, accessing medical tests, medicines and consultations was even more difficult. Another Syrian refugee told Basma about MSF’s maternity hospital and she gave birth there a few months later. “I feel blessed that despite all the hardship the baby was born and now we are a family under the care of impartial doctors and nurses,” she says. Over the years, Maysoon Mohammad Khalaf Al-Hijazat, MSF head nurse and midwife in Irbid, has witnessed hundreds of difficult situations. “There was this one patient I will never forget,” she says. 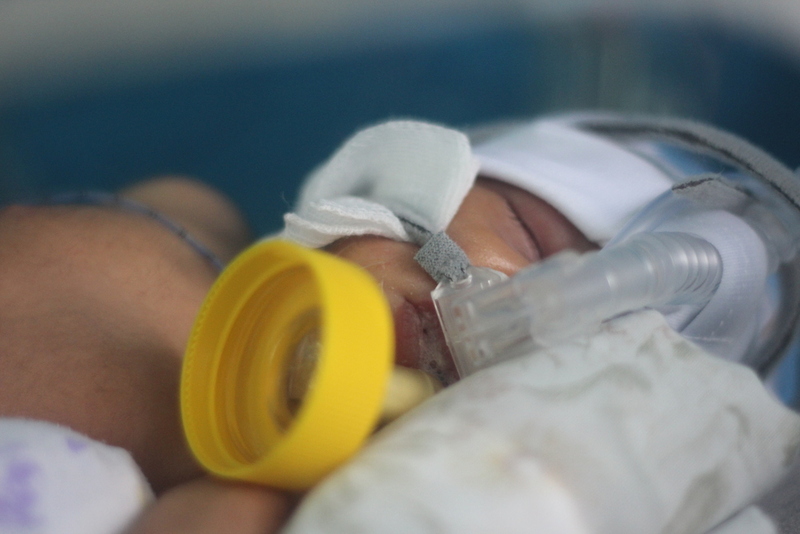 Not all stories of the patients at the maternity hospital are as extreme and tragic. But they reveal the harsh realities faced by Syrian refugees in Jordan, the difficulties of building an identity far from home and the questions they ask themselves every day. Will they stay in Jordan? Will they be able to go back to Syria and, if they do, what will they find there? And what will the future of their children be? Will they be refugees for life? Despite her joy at finally becoming a mother, Ayesha, too, is concerned for the future of her twins. “They were born into uncertainty. The only thing I can be sure of for them is that they have a long and difficult road ahead,” she says.